Brighton & Hove City Council has been helping organise a series of events to mark Holocaust Memorial Day on Sunday January 27th. At Brighton’s Jubilee Library this week, former University of Sussex academic, Dr Scarlett Epstein met local children and others to talk about her experiences as a Jewish refugee. Dr Epstein, who is now ninety years old, fled Austria when it was annexed by Hitler just before World War II. She spoke about the persecution of Jews which she witnessed and expressed her wish that the younger generation should learn how hatred and intolerance must be overcome. 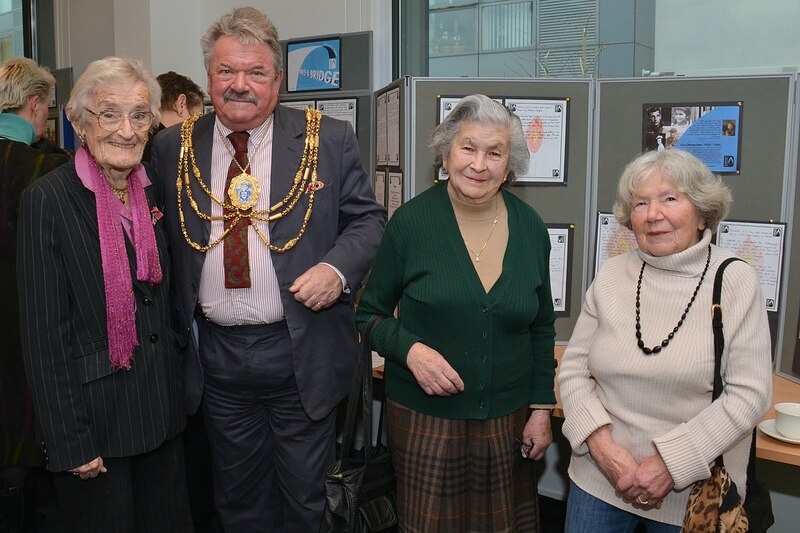 The Mayor of Brighton and Hove, Councillor Bill Randall attended the event. He was joined by two concentration survivors, Rosa and Sheindl, who have been interviewed by children from Carden Primary School for a special school project. There was a display of the children’s work; they also read some extracts and a poem.